www.busandcoachinsurance.net is part of the County Insurance Group. Behind the website is a team of 75 staff across three offices in the UK. Whilst the County Group provide the full range of insurance services, our speciality is private and public hire insurance. Hence we have bespoke teams including insureTAXI.com, insureCOURIER.com (also provides goods in transit insurance), insureHGV.com, & busandcoachinsurance.net. 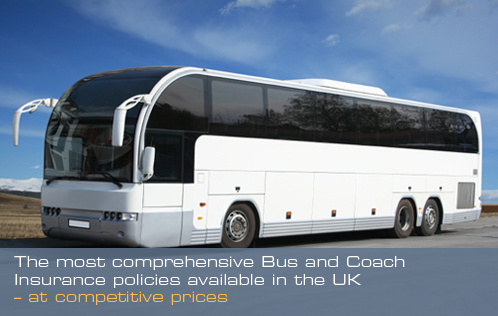 Having specialist teams for each area means our staff are fully trained and work with bus and coach operators every day – so will instantly understand your requirements and know which underwriters are offering the most competitive rates at any given time. Our relationships mean we can negotiate on your behalf and are happy to provide free risk management services to help reduce your premiums moving forward. We write in excess of £15m worth of vehicle insurance every year, and grow by 25% per year, so you can rest assured you’re in the hands of experts. Call us on 0800 980 3425 or contact us here or get a quote here.